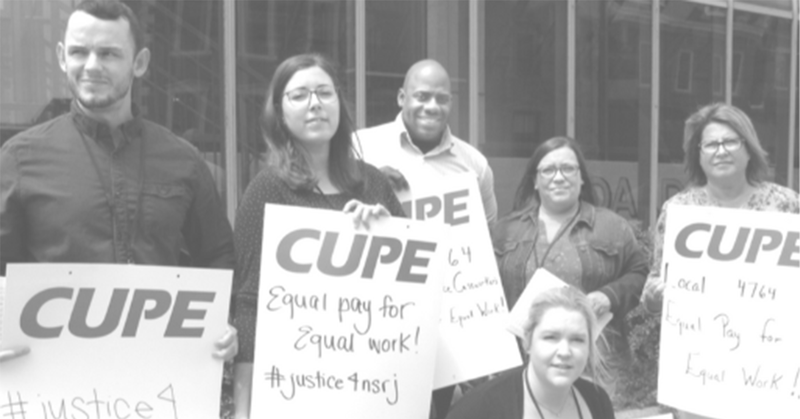 CUPE 4764 members, caseworkers employed by the Community Justice Society (CJS), are set to begin job action on July 30, after sending 48-hour strike notice to the Nova Scotia Minister of Labour and Advanced Education this morning. The strike will leave restorative justice clients and communities without options, and interrupt court dates. A picket line will begin at 8 a.m. Monday at 1256 Barrington Street, Halifax. CUPE 4764 has been in negotiations with the employer since December 2017. The union applied for conciliation in June 2018. However, conciliation efforts have failed and on July 26 the membership voted unanimously to reject the employer’s final proposal. Community Justice Society is a non-profit organization and is currently receives 100 per cent of its funding from the provincial government. The Nova Scotia Restorative Justice Program works with youth (12 to 17 years old) and adults (18 and over) and provides them an alternative avenue from the court system to repair the harm caused by their actions. CJS also delivers other community programs in the Halifax Regional Municipality.